You are currently browsing the category archive for the ‘Shed’ category. In the last year we acquired a small dilapidated shed. We have obtained permission from the owners to demolish it and erect a much larger structure. The new shed will be 10m x 4m. Our plan is allow all volunteer groups in Marsden to store and share their assets from it. Access is to be via a keypad. 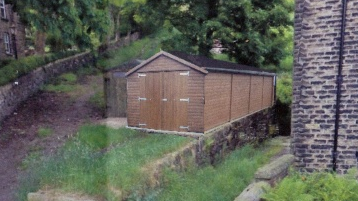 We hope to raise the £4000 to £6000 required to build the new shed in the next year.